The 1970s were a stimulating time for fiber arts. Spurred on by the counter culture, many people looked to crafts traditions and developed a renewed appreciation of working with textiles. Alternative schools located around the country such as Arrowmont, TN, Haystack, ME, and in Berkeley, CA—Pacific Basin School of Textile Arts (established in 1973) and Fiberworks Center for the Textile Arts (also established in 1973)—offered workshops in an exciting range of fiber techniques that ran the gamut of spinning, weaving, dyeing, basketry, tablet weaving, ikat, felting, quilting, and surface design. National magazines such as Fiberarts and Quilters Newsletter (founded in 1969 by Bonnie and George Leman) were chronicling the interest in textile arts. Yarn and quilt shops were opening, and supplies, classes, and information about different textile techniques, design, and craft was readily available. In 1977, a group of forward thinking women from the Santa Clara Valley Quilt Association (SCVQA) founded the American Museum of Quilts & Related Arts, which began its own remarkable journey as the first museum of its kind to recognize, appreciate, and preserve quilts and other textile arts. Now in its 37th year and in its spacious permanent home on South 1st Street, the San Jose Museum of Quilts & Textiles (SJMQT) continues to celebrate and promote the art, creators, craft and history of quilts and textiles. Nationally recognized and among a handful of institutions in the world that focus on quilts and textiles, the Museum has a significant historical chronicle of traditional and contemporary exhibitions and programs. 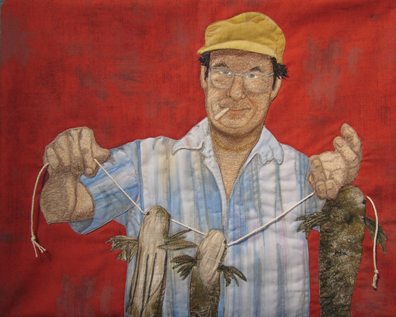 It offers a substantial range of exhibitions that draw from the museum collection, the national and international textile art movements (including groundbreaking, themed group shows which focus on particular topics or techniques—Scrap Art, Primary Structures, Navajo Weaving, Milestones), and the work and legacy of individual artists. Mark Adams, Mary Balzer Buskirk, Radka Donnell, Caryl Bryer Fallert, Jean Ray Laury, Therese May, Judy Mathieson, Eleanor McCain, Ruth McDowell , Katie Pasquini Masopust, Mary Walker Phillips, Yvonne Porcella, Deidre Scherer, Joan Schulze, Lydia Van Gelder, and Katherine Westphal, are a few of the many artists that have exhibited at the Museum. At this same time, a parallel experience was conceived in Athens, Ohio. The first Quilt National was inaugurated, and it too has grown and evolved during its 35 years. Establishing itself as the foremost and quintessential exhibit of contemporary art quilts, this ongoing biennial continues to showcase current trends and developments in the art quilt movement. Over the years the Museum had the opportunity to bring portions of four Quilt National exhibits to the West coast. artist and Quilt National juror Judith Content’s quilt Cenote Azul to the mix. 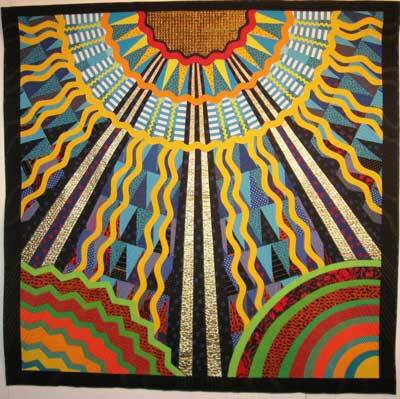 Like previous years the range of quilts and artistic expression is formidable, imaginative, and outstanding. From the classical Amish inspired Bow Tie by Sylvia Gegaregian to an updated still life by The Pixeladies (Deb Cashatt and Kris Sazaki), American Still Life: The Weight of the Nation, there is amazing technical virtuosity and meaning in each of these works. Once again, Quilt National features a rich diversification of style (abstract to representational) and shows us thematic content that is imbued with personal symbolism and contemporary ideas. 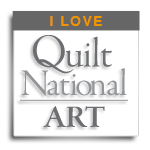 We are pleased to host Quilt National as it fulfills the museum’s artistic goals of bringing shows to San Jose that have a broad appeal and demonstrate that quilts are a transformative and compelling medium of artistic expression. In 2010 another connection to the Dairy Barn was forged. The Museum organized Cream of the Cloth: Quilts from the Marbaum Collection of Hilary & Marvin Fletcher that encompassed a 25-year survey of the art quilt movement and included work from previous Quilt National exhibits from 1985 – 2007. This private collection includes work by Michael James, Sue Benner, and Jane Sassaman. For over 20 years, Hilary Fletcher was a beloved and pivotal figure in the contemporary art quilt movement through her leadership of the Quilt National exhibitions. Under her advocacy, the biennial Quilt National exhibitions grew to be among the largest and most prestigious of contemporary art quilts in the world. She would certainly be pleased to know that pieces from her personal collection and Quilt National are still going strong and finding their way to San Jose. 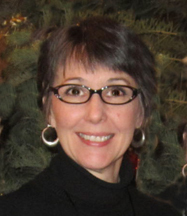 Deborah Corsini is the curator of the San Jose Museum of Quilts & Textiles and in her seven year tenure has created a wide variety of historical and contemporary fiber art exhibitions. Some exhibition highlights include: Beyond Knitting: Uncharted Stitches, Changing Landscapes: Contemporary Chinese Fiber Art, Hawaii’s Alfred Shaheen: Fabric to Fashion, Scrap Art, and Milestones: Textiles of Transition. 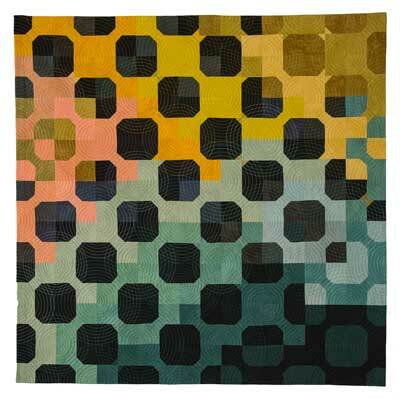 In her studio practice she focuses on tapestry and creates dynamic wedge weave and eccentric weave works. 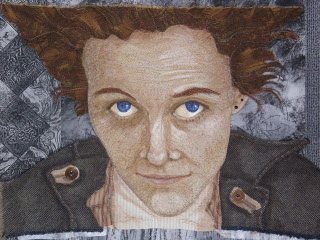 Her pieces are exhibited in national and international venues including the International Chinese Fiber Art Biennial and the American Tapestry Biennial. Her love and appreciation of quilts came from her previous job as the Creative Director and fabric designer for P&B Textiles, a manufacturer of quilt fabrics. 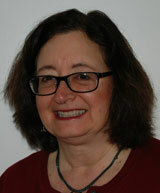 She is active in the textile community and an advocate for contemporary fiber art.